The St Thomas Way isn’t one single continuous route. Instead, it’s made up of 13 locations between Swansea and Hereford. There’s a circular walk at each location, but you drive (or take public transport, where available) between these locations. You don’t have to visit the locations in any particular order. You can visit any one of the locations on the St Thomas Way, or you can visit them all in any order you choose. The content will all still make sense. Alternatively, you might choose to follow the whole series of locations from Swansea to Hereford. Everyone will approach the Way differently, so we leave it up to you to make your own travel and accommodation plans. As a rough guide, you should ideally allow one day for each location, though some could fit together on a day, if you’re quick, or if you don’t do both walks (e.g. Swansea and Margam; Kilpeck and Longtown). You may want to book accommodation at one or two ‘bases’ from which you can visit all the locations on the Way. For example, all the locations from St Fagans to Hereford are within one hour of Abergavenny (one-way trip). All the locations from Swansea to Usk are within one hour of Bridgend (one-way trip). You should make your own plans for travel between the thirteen route locations, depending on which ones you are visiting, where you are staying etc. Please be aware that SatNav systems can be unreliable at the more remote locations on the Way (e.g. Patrishow). Check the ‘Walking Route’ information to see which locations are accessible by public transport. When walking a section of the Way, take your phone or tablet with you to enjoy the interactive, multi-media content on location. Alternatively, print out the material you require. We recommend that you always print out the walking route, in case of loss of connection / technical failure. Check the walking route information to select appropriate clothing and footwear, and check the weather forecast! Be sure to bring water and snacks for longer routes. We also highly recommend the Ordnance Survey mobile app, which you can use on- or off-line, and can be useful alongside our walk maps and instructions. The St Thomas Way can be enjoyed by all ages. There is special ‘Kids’ content for each location, and children will also enjoy the ‘Collect Your Badge’ challenges. The walking routes are optional, but each has information about distance, difficulty and terrain (e.g. buggy friendly). The St Thomas Way is designed to be inclusive and accessible to all. Read further information on Accessibility. The St Thomas Way includes sites like churches and castles which are usually open for public access. Please be aware that in certain circumstances (e.g. special events; works) they may be closed, and check ahead if you’re keen to go into particular places. 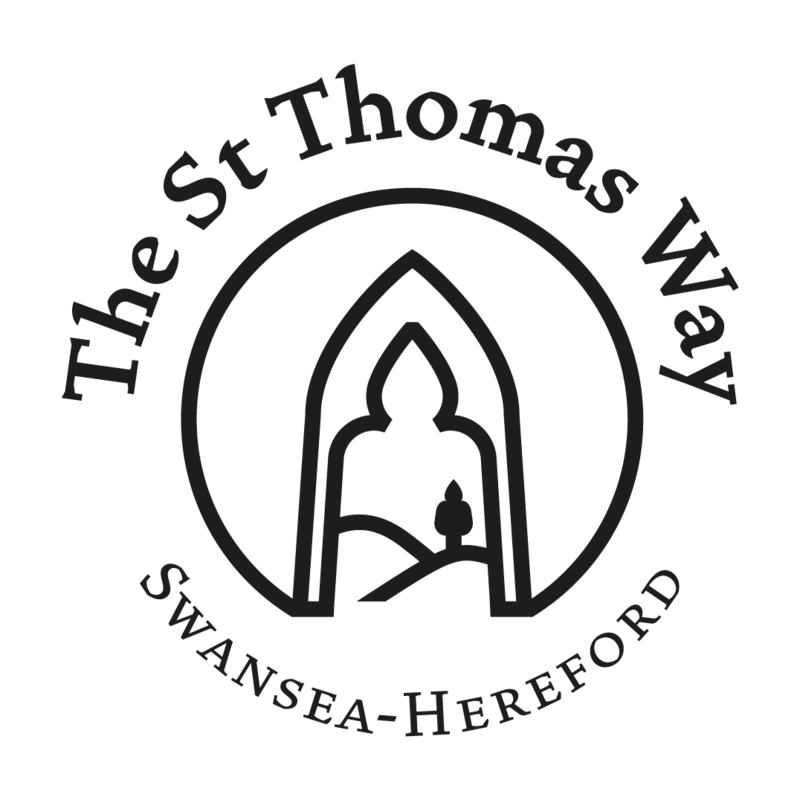 At the time of launch, no sites on the St Thomas Way charge entry fees, with the exception of Caerphilly Castle (although the walking route still takes you around the walls and artificial lakes with great views, and you don’t need to go inside to collect your badge). You may wish to make a voluntary donation at other sites.